For over twenty-five years Tucson Waldorf School has served parents and children from their newborn years through Grade 8 with an education that fosters academic engagement and joy in learning. TWS offers an outstanding classical education, presented with care and an ethic of beauty, while at the same time nurturing family life, and developing social and environmental awareness. Everything done at Tucson Waldorf School is in support of the wonderful children who learn and thrive here. Every child receives an education presented with beauty, breadth, and depth that responds to the developmental stages as they grow from their early childhood and preschool years into teenagers. Located near a bend in the Rillito River, Tucson Waldorf School’s campus is a natural bounty in the desert, situated in the heart of the Finger Rock Watershed of the Santa Catalina Mountains in Tucson, Arizona. Students enjoy an expansive 10-acre campus located in the Binghampton Historic District – an educational, farming and cultural corridor in the heart of Tucson. Playing fields, shaded play areas, a garden, playgrounds, and archery range, as well as a chicken coop, provide the children with the fresh air and space they need to thrive. The TWS campus also serves as an excellent outdoor classroom with a hands-on gardening curriculum and an opportunity for outdoor play in the beautiful foothills setting. 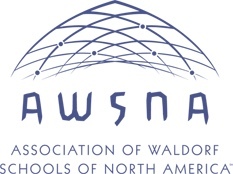 Tucson Waldorf School students have numerous opportunities to explore locally on weekly foot excursions with their teachers to surrounding areas such as Native Seeds SEARCH, important historic landmarks, and after school to the JCC. The community of Tucson Waldorf School is wonderful! The school fosters a vibrant culture rich in diverse ethnicities, religions, and economic backgrounds. There is a tremendously active life within our community in the many campus-wide celebrations, festivals, field trips, and also parent education events such as our Treasuring Childhood Film & Lecture series. It is through these events that families gather to discuss the values that are an underpinning of Waldorf education and an outreach to the greater-Tucson community. Our community grows close in familiarity and warm relationships — where every parent, teacher, and administrative staff member at Tucson Waldorf School participates in creating a community which supports the unfolding capacities of the students and the promise they show for the future. Upon graduation, TWS students eagerly take to high school with a strong love of learning. Graduates attend a wide range of high schools including University High School (UHS), BASIS High School, Salpointe, Tucson High, Catalina Foothills, and other public and private schools throughout Tucson and Oro Valley. The approach at Tucson Waldorf School awakens in each student a sense of curiosity that lasts a lifetime. Graduates are prepared to thrive in an ever-changing world and to participate as thoughtful, resourceful, and confident young adults. Tucson Waldorf School is truly education for freedom. Engagement in education and joy in learning.